200 metres below The Big Dipper, Full stop is named after two nasty rocks at the bottom of this rapid that need to be treated with respect, as they can be boat wrappers! 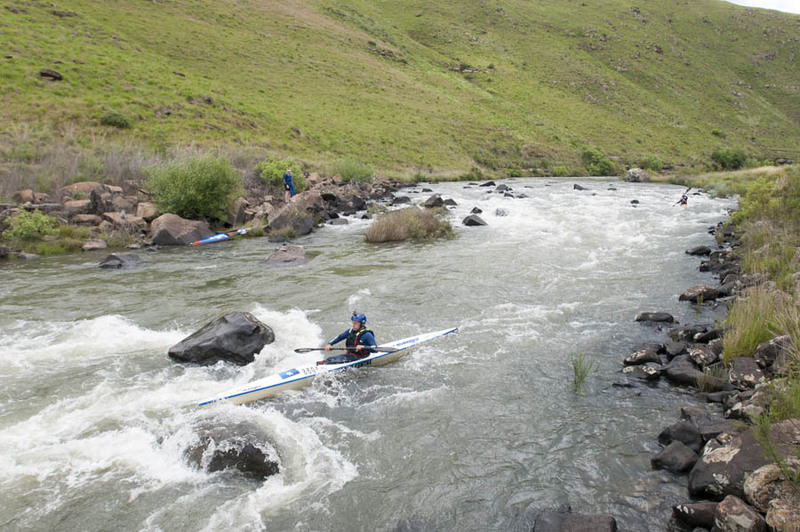 In most conditions the rapid can be approached down the left, staying left all the way down depending on water levels, pick your line left or in between the two rocks and paddle hard to make sure you keep your line until you are passed them. In fuller conditions the central entry line opens up nicely, from where you can move left, and in very full conditions you can skirt most of the trouble by staying right the whole way down.